Join us in Marysvale for the first annual UTV Jamboree Free to the public!! 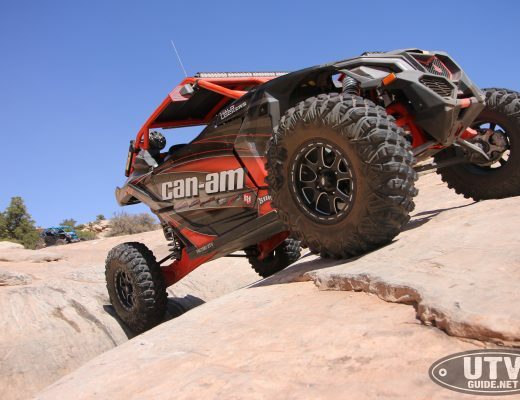 With literally thousands of miles of OHV trails to ride Piute County, which sits dead center of the Paiute ATV Trail, is the natural location for riders from all over the US and abroad to assemble for the first annual UTV Jamboree. “Marysvale’s City Park with its towering shade trees, grand stands, race track and concession stands is great place to gather the family and launch out into the trails on our guided rides”, said Bill McIllwain Piute County Chamber President, “Marysvale prides itself as the most OHV friendly city in America, people come here from all over the world and are simply amazed at the amount of trails and diversity of riding.” Piute County is nestled at the base of the majestic Tushar Mountains in a high mountain valley. Every City in the county allows OHV access on city streets year round. Riders can experience high mountain desert climates in the morning and within hours climb to the highest point on the trail system at over 11,000 Feet and have lunch amidst beautiful Aspen lined meadows and streams. The Jamboree provides something for everyone, guided trail rides, GPS Classes and GPS specific rides, live music in the rustic outdoor dance hall and a roaring bonfire will make for wonderful evening entertainment. “Piute County simply has the best OHV riding in the world, that’s why we moved here and built an RV Park, make sure you stop by our Open House”, declares Jim Peterson owner of the newly completed South Forty RV Park www.southfortyrvpark.net. Marysvale is currently home to three RV parks, two motels, two Bed and Breakfasts and three restaurants and a well stocked convenience store. “We are not a big county, we have just what you need to make your visit comfortable without all the traffic and noise”, declared County Commissioner Kay Blackwell, “In these tough economic times we thought a free event was just what the Doctor ordered”. Commissioner Blackwell also reminded us to bring our Gold Pans; the local streams have attracted prospectors for generations. Piute County sits on some of the most interesting geology in the country, a rock hounds dream vacation, due to several ancient volcanoes and calderas. Fishing is plentiful at Piute Reservoir State Park and Otter Creek State Park as well as the Sevier River which winds its way the length and breadth of the county. The Paiute ATV Trail system is consistently rated a top destination for OHV enthusiasts. “We thought it was time to have an event specifically geared to the Side by Side riders so we created the UTV Jamboree”, said Milo Medley of Lizzie and Charlies RV Park www.lizzieandcharlies.com and Paiute ATV Rentals www.piuteatvrentals.com one of the corporate sponsors, “We even have a free drive in movie Friday evening, bring your rig or blanket and sit on the lawn, plenty of room for the kids to keep busy”.